Emperor Akbar had an important courtier called Birbal. Birbal was very popular for his matchless wisdom and high sense of humour. It interested the king of Iran. “I want to meet this guy Birbal and test his intelligence. Invite him.” He ordered. Akbar, handing over the royal invitation to Birbal, said, “My friend, the king of Iran has invited you to test your intelligence. Let your voyage fetch yet another claim to your name and fame.” Back at home, with his mind busy, Birbal packed for the voyage. Meanwhile, the king of Iran decided to play a prank. HE made five of his minister’s dress like him in royal costumes. The moment Birbal reached Iran, he was ushered to the court where six kings were seated. ‘This is it, A test for me to find the right king.” Birbal thought. Pleased with Birbal, the king rewarded him as he said, “Birbal, I wish I had a genius like you in my kingdom. 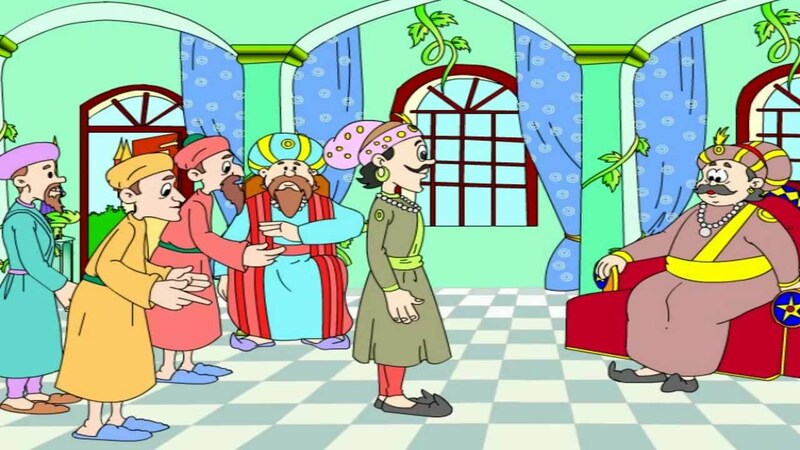 I want you to stay with us for a few days…” Birbal thanked the king, feeling happy that he added pride to his motherland. The great king, Shri KrishnaDevaraya was ruling Vijayanagaram. He had eight intelligent advisors in his court, one among them was Tenali Raman who was very clever and witty. The king was fond of brinjals, so he had some special kind of brinjal plants in his garden. The brinjal was very rare kind and curry made out of it was very tasty which was loved by the emperor. As it was a rare kind, the garden was guarded and no one was allowed to go to the garden without the emperor’s permission. Once the emperor had arranged dinner for his advisors and the brinjal curry was served. Tenali Rama had enjoyed the brinjal curry very much and went home. But he was unable to forget the taste. He told his wife about the taste of curry. Tenali Rama’s wife also liked brinjal curry, she asked Tenali Rama to bring few brinjals so that she can prepare a curry. But Tenali Rama knew that the emperor was taking extreme care about the brinjal plants and it was not easy to get them from his garden. And, the emperor will punish such thief if caught stealing a brinjal. But Tenali’s wife pleaded him to bring a brinjal from the garden without telling anybody. Tenali Rama had no choice other than stealing a brinjal from the emperor’s garden. One night he went to the garden, jumped the wall and plucked few brinjals from the garden. By the god’s grace, no one had seen him. His wife cooked the brinjals and the curry was very tasty. Like all the mothers, she too loved her son very much and wanted to serve a brinjal curry him. But Tenali Rama asked her not to do such thing because if their son reveals to anybody that he had a rare brinjal curry, then they may get caught and get punished for stealing a brinjal from the garden. But his wife did not agree. She wanted to serve the curry to her son. She was unable to eat the curry alone without serving her little kid who was sleeping after doing his homework on the roof of their house. She asked Tenali Rama to find a way so that their son can also taste the brinjal curry. Tenali Rama also loved his son, so he thought of an idea and with a lot of hesitation went on to the roof to wake up his child with a bucket of water and poured the water on the child. When the child woke up he said “It is raining. Let’s go inside the house and have a dinner”. After going inside the room he changed the clothes of his son and gave him the rice and brinjal curry for the dinner. Tenali Rama told his wife loudly that “it was raining outside, and let the boy sleep in the room”. And the next day, the emperor came to know that few brinjals were missing in his garden. The Gardener who kept the count of each vegetable and flower found that the three brinjals were missing. It became a challenging issue for the emperor and took it very seriously. He declared a reward for the person who can catch the thief. Chief advisor suspected that only Tenali Rama was capable of doing such things. And they told the emperor about it. The emperor sent his courtiers and asked Tenali Rama to come immediately. Once Tenali Rama came he asked him about the missing brinjals. Then Tenali Rama told, “I was not aware of the missing brinjals”. Then the chief advisor told “Tenali Rama was lying. Let’s enquire his son”. The king sent his courtiers to bring Tenali Rama’s son. Once his son came, He was asked what vegetable he had in the dinner last night. The child replied, “The brinjal curry and it was very tasty”. Then the advisor told Tenali Rama that he needs to accept his crime. But Tenali Rama said his son had slept very early and he might be saying something which he got in his dream. 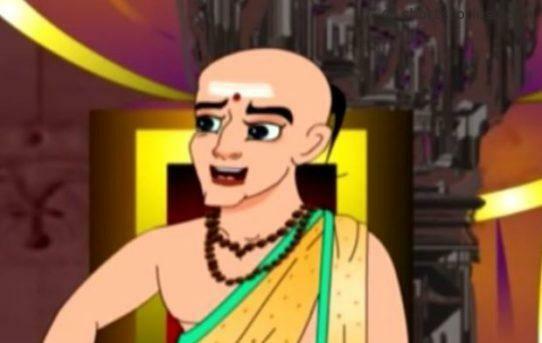 Tenali Rama’s son replied that “yesterday after coming from the school, I played for some time and after that, I went on to the roof, did my homework, and slept on the roof. But when the rain started, my father came and woke me up. By that time my dress was fully wet, and then we went inside, had the dinner and slept again”. The chief advisor was shocked because there was no rain at all yesterday. And the atmosphere was fully dry. So they thought the kid had a dream and freed Tenali Rama without any punishment. However, later Tenali Raman told the truth to the emperor and was pardoned by the emperor for his clever witty idea. There was a rich merchant who had 4 wives. He loved the 4th wife the most and adorned her with rich robes and treated her to delicacies. He took great care of her and gave her nothing but the best. HE also loved the 3rd wife very much. He’s very proud of her and always wanted to show off her to his friends. However, the merchant is always in great fear that she might run away with some other men. He also, loved his 2nd wife. She is a very considerate person, always patient and in fact is the merchant’s confidante. Whenever the merchant faced some problems, he always turned to his 2nd wife and she would always help him out through difficult times. The merchant’s first wife is a very loyal partner and has made great contributions in maintaining his wealth and business as well as taking care of the household. However, the merchant did not love the first wife and although she loved him deeply, he hardly took notice of her. “No way!” replied the 4th wife and she walked away without another word. The merchant felt very sad. He then asked 3rd wife, “I have loved you so much of all my life. Now that I’m dying, will you follow me and keep me company?” “No” replied the 3rd wife. The merchant’s heart sand and turned cold. “I am sorry, I can’t help you out this time” replied the 2nd wife. “At the very most, I can only send you to your grave.” The answer came like a bolt of thunder and the merchant was devastated. Then a voice called out, “I’ll leave with you. I’ll follow you no matter where you go.” The merchant looked up and there was his first wife. She was so skinny, almost like she suffered from malnutrition. Greatly grieved, the merchant said, “I should have taken much better care of you while I could have!” The merchant realized that true love has nothing to do with the looks and beauty. Once upon a time, a hippopotamus lived in a river next to a big and solitary tree. One day, a bird came and nested in a tree. The songs and the flight of the bird caused such envy in the hippo that he couldn’t think of anything else. Every day he would lament the fact that he had been born a hippo. This despite the many times the bird told the hippo he was so lucky to be so big and such a good swimmer. Finally, the hippo made his mind up that he would come out of the river, climb the tree, go out to perch on a branch and start singing. However, when he tried to climb the tree it was all too clear that the hippo didn’t have wings, or claws to climb with and neither could he hop. Realizing that he would never manage it, he angrily rammed his whole weight against the tree until it came crashing to the ground. Then, triumphantly he stepped onto the leaves of the fallen tree, and began singing. Unfortunately, hippos can’t sing either. All that came from his mouth were horrible noises, and when the other animals heard this they all gathered round to make fun of the hippo standing on the branch of a fallen tree, trying to sing like a bird. He was so embarrassed by this that he decided to never again regret being a hippo. He also felt bad about having knocked the tree over. He used all his strength to raise the tree back up again, replant it and look after it until it had completely recovered. One morning Akbar came to court looking very dull. “O King, you look tired with puffy eyes. What’s wrong?” asked Birbal casually. There was total silence as Birbal walked out never to return. A week later, Akbar felt sad for his outburst and sent his guards to fetch Birbal. Alas, he was nowhere to be found. “How do I find Birbal?” mused Akbar. Finally he came up with a smart plan. The next day Akbar announced. “The man who can answer this riddle will be rewarded handsomely. He must walk to the palace tomorrow morning half in shade and half under the sun.” Many tried, but could not succeed. Akbar understood that he was sent by Birbal. “I ‘ll give you the reward. But, before that show me who gave you this idea?” he asked. The farmer took Akbar to Birbal. Akbar embraced Birbal and took him back to the palace. One day King Akbar was feeling bored, he loved to think up riddles for his courtiers to answer. ‘The only person in my court who can answer my questions is Birbal. He’s a clever guy and I really enjoy his wisdom,’ thought Akbar. “Birbal, I have a riddle for you,” said Akbar. “That’s simple, your majesty. I would choose the gold coins, of course,” answered Birbal. There was a silence in the court. The courtiers were shocked at this answer. “He chose money over justice. Can you believe it? Birbal is greedy! “ shouted the courtiers. Even to Akbar this answer was disappointed. “I never expected you to be greedy like the others. I thought you would choose justice over gold,” said the king finally when he had gotten over his shock. Delighted with this answer, Akbar gave Birbal a bag of gold coins. King Krishnadevaraya and the queen were very fond of flowers. So there were many varieties of colourful and beautiful flowers in the palace garden. The king and queen visited the garden every morning and evening, they instructed the gardeners to take care of the garden well. There were many varieties of roses in the garden. The gardeners used to pluck the roses, take them to the queen every day. But, on some days they did not bring the roses. So, the queen was angry with the gardeners and enquired them the reason for not bringing the roses. But the gardeners did not have an answer. “No, Your Majesty. Don’t mistake us. We never think of treachery to the kingdom,” replied the gardeners. “Then, why can’t you bring the roses here?” asked the queen again angrily. “Okay, you can go. I shall tell the king to strengthen the security,” said the queen. Then the gardeners bowed their heads and went out. The queen then went to the king to complain about the theft of roses in the garden. The king was shocked to hear about the theft. The queen also asked the king to strengthen the security in the palace garden. The king immediately asked the minister to appoint guards’ to take care of the garden and to catch the thief. The next day, the garden was surrounded by guards’. The guards’ were very alert and did not let anyone inside the garden other than the gardeners. The guards’ noticed a small gap in the fence. A man’s head was peeping inside the fence through the gap, they immediately acted very fast and caught him red-handed. The held him very tight, that the man could not escape. The guards brought him out of the fence, he had roses tied to his lap. The guards presented him to the chief guard and confined him in the prison. The chief guard immediately met the king and informed him about the theft and how he was caught red-handed. The chief also told the king that the thief had the roses tied to his lap. The chief also mentioned to the king that the thief was none other than the son of Tenali Raman. The king got really angry and asked the chief to bring Tenali Raman immediately. “Oh King! My son won’t involve in such kind of theft, please enquire thoroughly to know how far it is true and then come to a decision,” said Tenali Raman. The king ordered the guards to bring Tenali’s son there immediately. As the king ordered the guards brought him there. “Tenali, though I repeatedly tell you, you don’t accept the crime. Guards, disclose the roses from his lap and show them to Tenali,” said the king. The guards tried to take out the roses from his lap. But to their disappointement there was no rose. “What are you doing, guards? Take out the roses,” urged the king. “Oh King! Please believe us at least now. We do not have such a worse character,” said Tenali with contented mind. The king thought for a while and not able to take any decision he let Tenali and his son go. They took leave of the king after thanking and greeting him. “Yes, your majesty, we are sure. We caught him red-handed and confined him in the prison,” said the guards. “When Tenali told him on the wise use of the mouth, his son has eaten all the roses. That’s all,” said the king to the guards and he appreciated Tenali’s wisdom. The guards too came to understand the wisdom of Tenali. Stories are great eye openers to children, it improves there cognitive, reading and listening skills to a great extent. Reading stories makes the children creative, imaginative and improves their vocabulary skills drastically. I started to read stories to my children when they turned one and half year old. This in turn, has cultivated a very good habit of reading lots of story books. Reading is always fun, so here is my attempt to make coolstories4kids a one stop space for all kinds of stories like fables & fairy tales, folk stories, mythological stories, jataka stories, Tenali stories , moral stories, animal stories, classic stories etc. This story blog coolstories4kids is for all the story lovers out there and I believe you and your kids will surely enjoy the same.